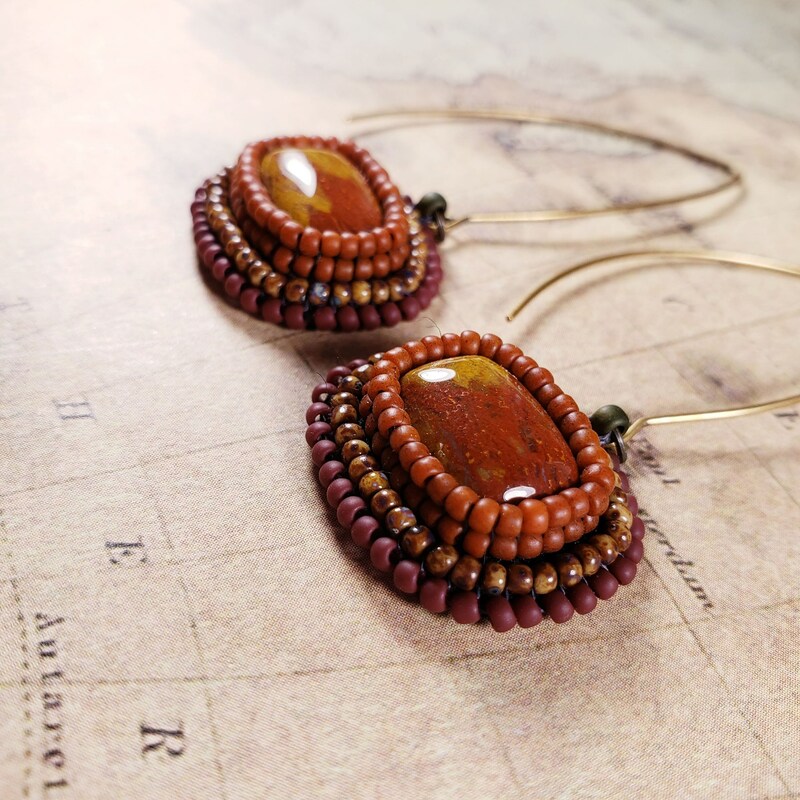 Long hanging dangling Jasper earrings. 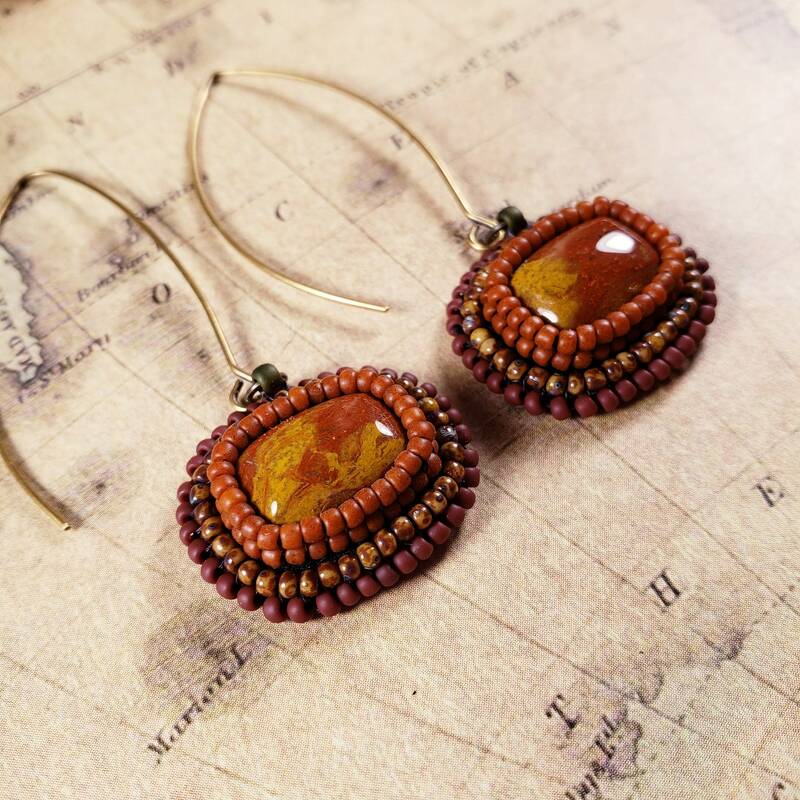 The combination of swirling golden yellow and orange red have a very artistic look. 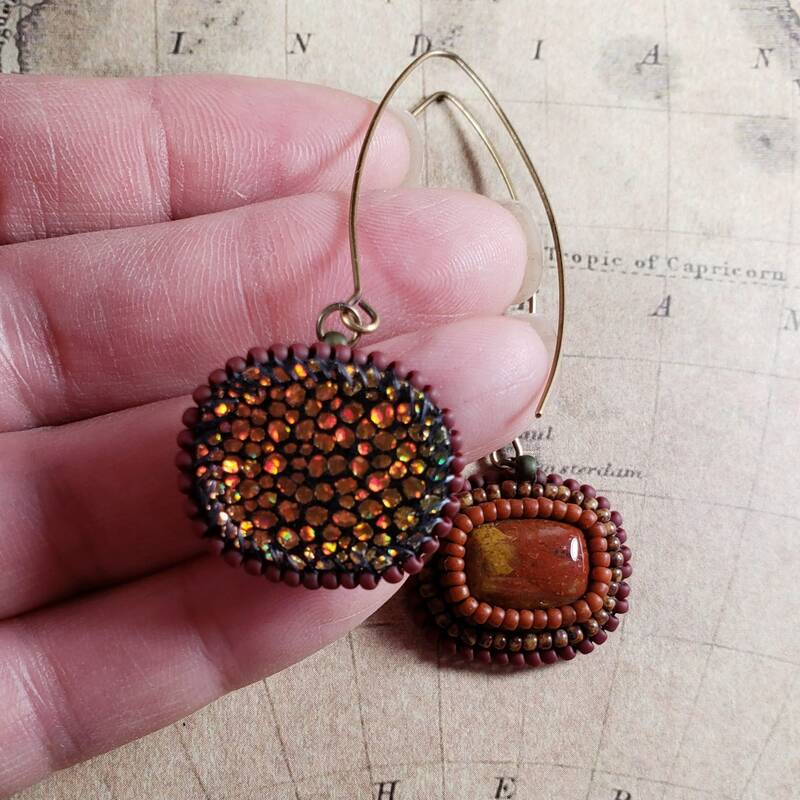 Bead embroidered with matte burnt orange and mosaic brown glass seed beads. The red changes hues in the light from a brick to a berry. 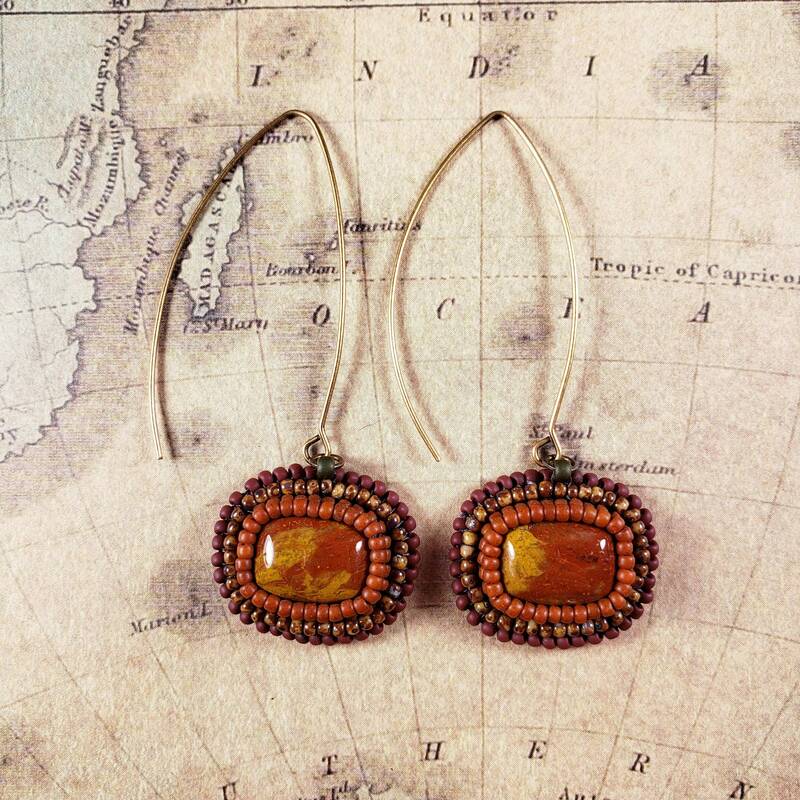 Noreena jasper is from the Pilbara region of Western Australia. These light weight stones are hanging on extra long earwires.